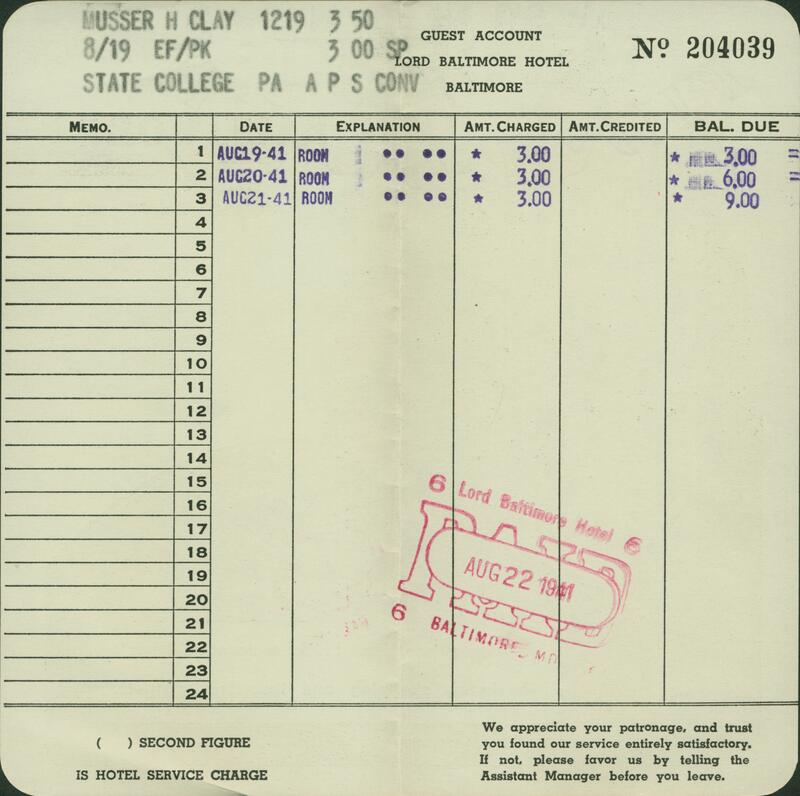 As I was working on the next installment of the APS Archives inventory for the Philatelic Literature Review, I came across H. Clay Musser’s hotel bill from the 1941 APS convention in Baltimore. His 3-day stay at the Lord Baltimore Hotel cost $9. 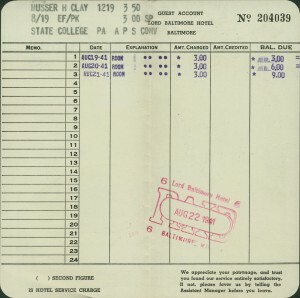 In 1945, Musser was hired as the first APS employee for a salary of $3,000 plus expenses, and the first APS office was established in State College, Pennsylvania.